We all enjoy sharing our travel photos and videos. Many of us will FaceTime our friends and family with a live video feed as we travel. It’s a wonderful way to stay in touch with folks back home. Did you know that “live video feeds” are also available from cruise ships (aka “bridge cams”), airports, trains, hotels, resorts, and destinations, even from a NASA spacecraft in outer space looking back at the earth? Some feature continuous live video feed, others update a live picture every few minutes. You can use live web cam feeds not only for enjoyment, but for planning your next vacation. 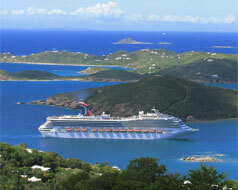 Go “live” to a cruise ship or resort and see if you like what you see.